Merry Christmas and Happy New Year from the Saint Louis University Athletic Training Program! Our experience studying at Saint Louis University for 15 weeks has now come to an end, we feel that we have found the experience that we were looking for before we came out to St. Louis. 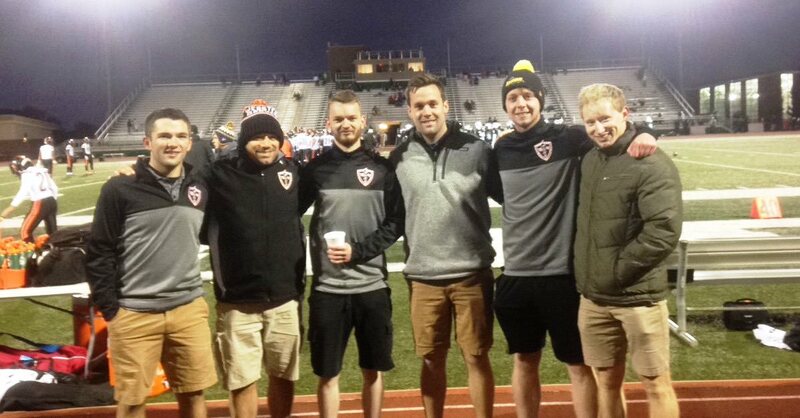 Working with Webster Groves HS and the SLU Billikens Sports Medicine staff at Chaifetz Arena, we have definitely benefited from this international clinical exchange. 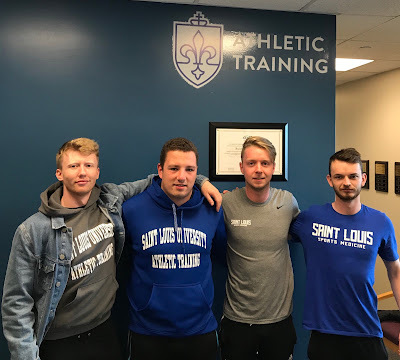 From our very first day at Saint Louis University we were welcomed by Anthony Breitbach PhD, ATC the Athletic Training Program Director who took time to collect us from the hotel we were staying at and brought us to induction day at SLU. Induction week was very helpful as we got a good feel for SLU and its facilities. We also had the privilege to be brought to a park along with the rest of the international students to witness the Solar Eclipse on the 8/21/17 which was one of the most incredible things we have ever seen. After we got settled into our new apartment and familiar with SLU, we got out schedule for clinical placement and class. We were placed at Webster Groves HS Monday to Friday working from 2pm till 8-9 depending on what sporting events were on each day. 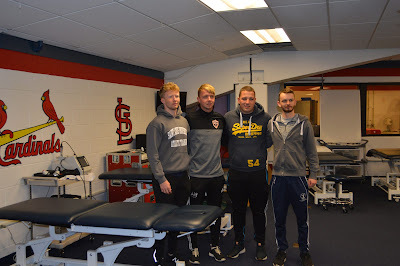 We also had rotation with Jason and Jordan the other two Irish students from AIT, at Chaifetz Arena in the morning where we working with the SLU sports medicine staff in the medical room in Chaifetz. We began our day at Chaifetz at 7am and finished at 10:30 am. At first we found it hard to get up for this but once we got into the swing of things we became more accustomed to it. In the middle of the day we took 3 different modules Rehabilitation in AT II with Mike Markee, ATC, PT, OCS, COMT, Clinical Practicum III with Tim Howell, EdD, ATC, CSCS and Contemporary Clinical Practice with Kitty Newsham, PhD, ATC. We found these classes really beneficial for us. We also had the chance to take a Mock BOC exam with our PY2 classmates which will help us study for our ARTI exam that we will be taking for accreditation. In these classes, as well as furthering our knowledge in athletic training, we made a lot of friends for life with our classmates. This turned out to be a very symbiotic relationship as we could share the knowledge that we have learned in AIT and in turn they could share what they have learned with us. 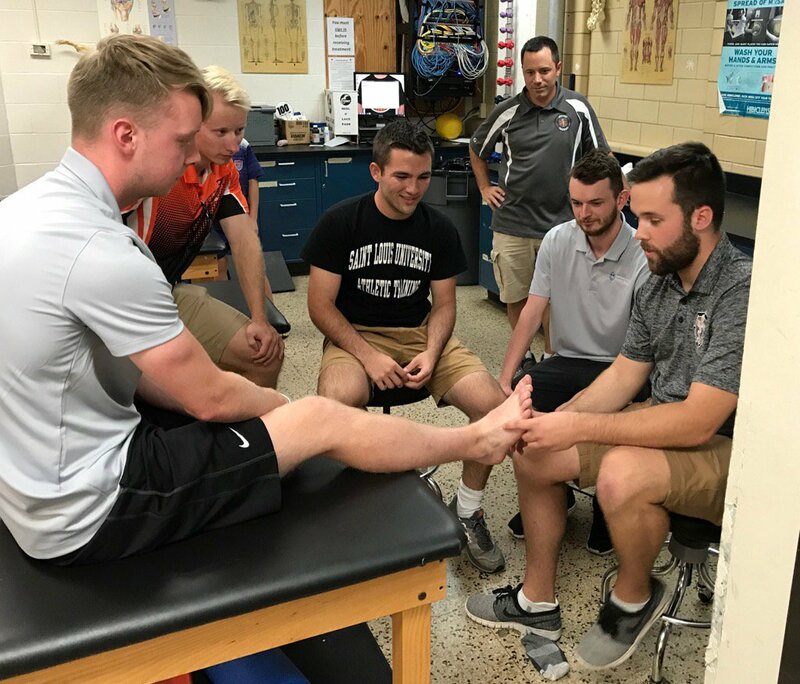 Our clinical experience at Webster Groves high school has been extremely beneficial towards our learning experience in St. Louis. Our preceptor Sean Wright ATC has been head AT at Webster Groves for the past 13 years and his continued culture of collaborating to give the best care to athletes. Sean welcomed us into his school and Athletic training room with an open hand. From day 1 he threw us into the fire with evaluations and treatments which I felt was very beneficial because we could get hands on real life AT experience right from the start. 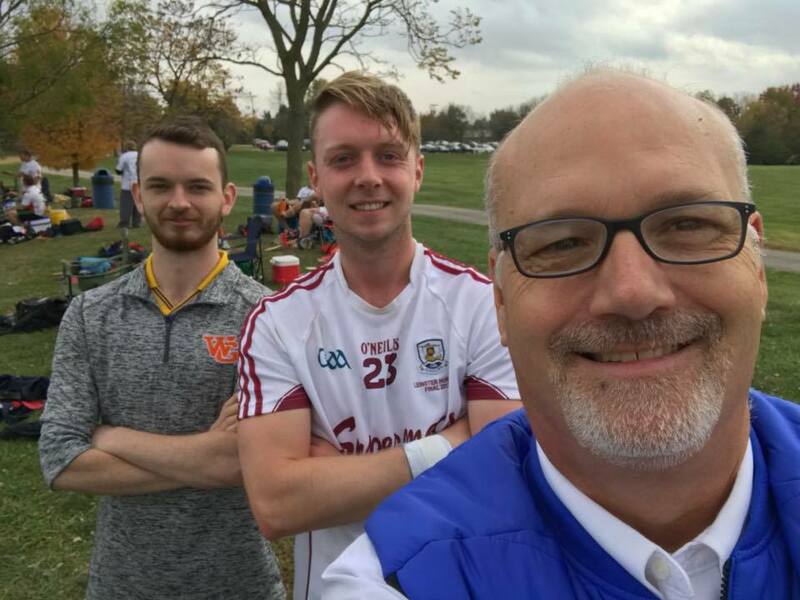 We made many friends working at Webster Groves, especially the SLU AT students who we traveled to Webster with, Paul Lamb, Pat O’Neill and Dimitri Kilian. We benefited greatly from working alongside each one of them which made our life in SLU much easier and also became very close friends whom we will never forget. 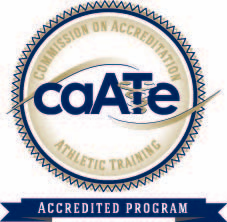 Sean Wright ATC was so beneficial to work alongside at his high school, his vast knowledge of athletic training and his care for athletes will stand with us as long as we practice athletic training. This busy fall season we experienced a wide range of athletic events. Sports which were new to us such as American Football, Basketball, softball and wrestling along with sports we would be more accustomed to back in Ireland such as soccer, volleyball, athletics and field hockey. To work in a school with such a high caliber of athletes and working Friday night football was everything and more we expected when we heard we were working at a High School. 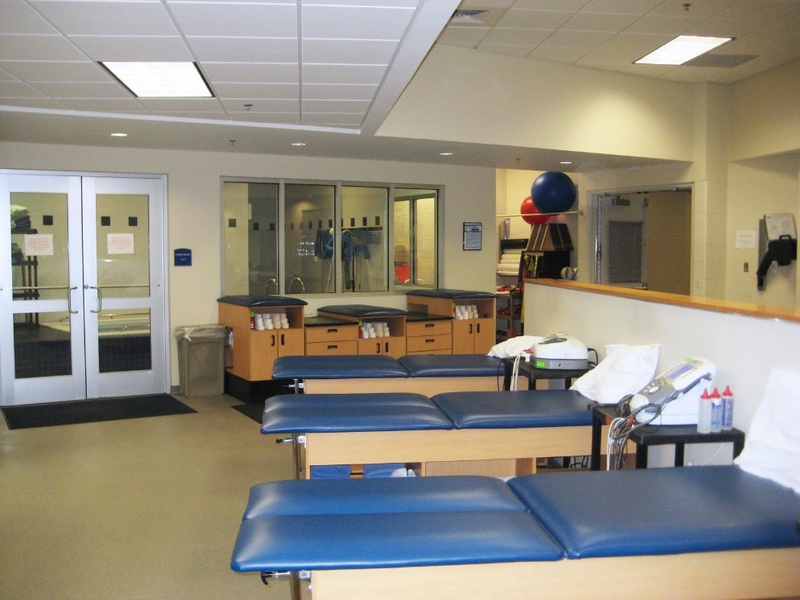 Working at Chaifetz Arena with the SLU Billikens Sports Medicine staff was a huge opportunity which allowed us to work with high quality athletes at a top of the range sports facility and medical room. We had the opportunity to work with the SLU Men’s Basketball team and Jonathan Burch ATC, SLU Men’s soccer, SLU baseball and Ben Heimos ATC, SLU field hockey and Petra Knight ATC, and SLU volleyball, tennis and softball and Tammy Pastor ATC. We had great experience working with each athletic trainer at the sports medicine room in Chaifetz arena, from covering a SLU baseball game at Busch stadium to taking full volleyball practices with Tammy pastor ATC at 6am in the Chaifetz pavilion. We loved every minute of this experience and gained valuable knowledge along the way. We honestly felt that this experience was more than we asked form the first day Tammy let us do a full evaluation on one of her athletes we felt a huge amount of respect and gratitude towards Tammy to the final day when we said our goodbyes, it will be an experience we will never forget. 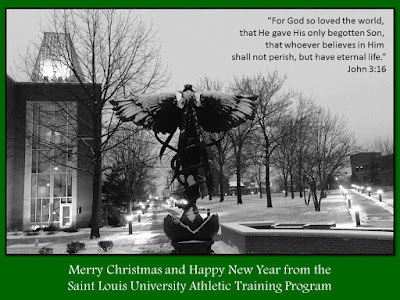 Our time in Saint Louis University sadly has come to an end. 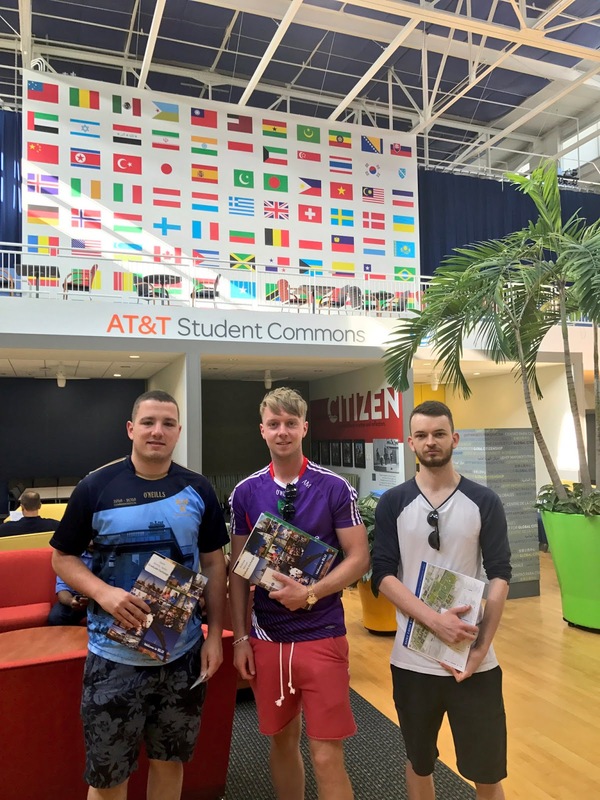 We have gained so much experience on our 15 week international clinical exchange. From taping Ironman’s wrist at the Marvel Universe Live show at the Chaifetz Arena, working Friday night lights at Webster Groves HS, sharing classes with PY2 SLU students, to the early, early mornings in the sports medicine room at Chaifetz Arena and the late, late Saturday nights with our new and lifelong friends we made along the way this experience will never be forgotten. Having being allowed the opportunity to further our athletic training skills abroad from our college in Ireland, we found ourselves in Saint Louis University thanks to the hard work of SLU faculty Dr. Tim Howell and Dr. Tony Breitbach. Having come here expecting to gain clinical experience we have managed to walk away with much more. 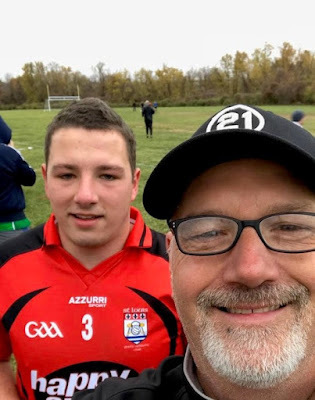 Coming from Ireland we got the opportunity to work with many sports we wouldn’t be familiar with such as volleyball, basketball and American football. This exposed us to many injuries we wouldn’t normally see back home. Our day usually started early in the morning in the Chaifetz arena. We worked closely with many teams, in particular the volleyball team thanks to Tammy Pastor ATC. We participated in many different master program classes. We further improved our understanding of rehabilitation and treatment techniques, while also becoming great friends with our fellow peers. 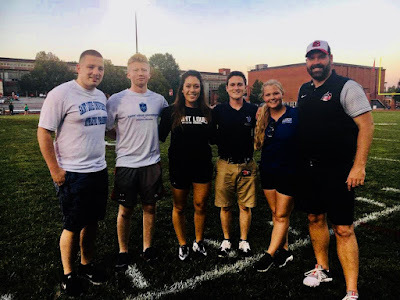 We were at Bishop DuBourg High School under the guidance of our preceptor Nate Jarman MAT, ATC who was excellent at furthering our knowledge in clinical reasoning, rehabilitation and strength and conditioning. We can’t thank Nate enough for the exposure he let us have while working under him. Having never thought about working at a high school it turned out to be our most enjoyable experience as an Athletic Training student and is a place we could see ourselves working in the future. We worked alongside fellow students Cat Chua and C.J. Butler where we shared our knowledge and experiences over the 4 months. (They were also the cheapest taxis in St. Louis!). The list of things we accomplished and stories we have to tell could go on and on. From playing Gaelic football and Rugby each week, to taping Ironman’s ankles at the Marvel Universe Live Show! The friendships we have made will last a lifetime and this is an open invite for any of you to come visit us. 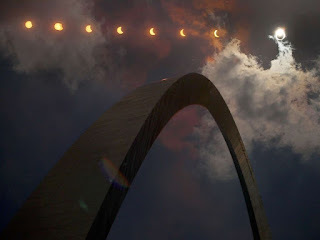 Hopefully we will be remembered for more than just our social festivities around St. Louis. The only disappointing aspect of our time here is that it unfortunately has to come to an end. Thanks for everything St. Louis! 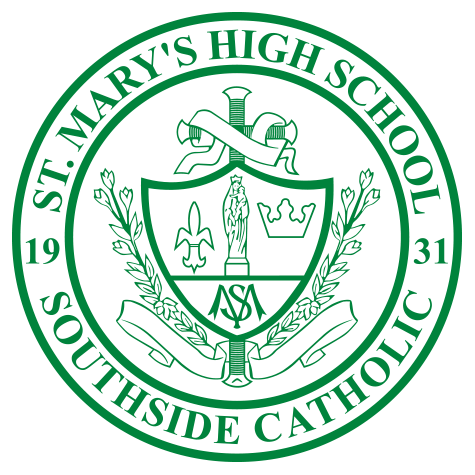 I was placed at St. Mary’s High School high school for my first Athletic Training clinical experience. This clinical site has been a great practical experience and has provided me many learning opportunities. 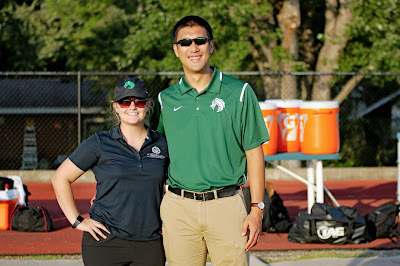 I am very glad that I can gain clinical knowledge, skills, and abilities under the supervision of my preceptor Cara Bowton MAT, ATC; who works as the Athletic Trainer at St. Mary's through SSM-Saint Louis University Hospital. She graduated from SLU in 2016 and is very knowledgeable about injury management and prevention. 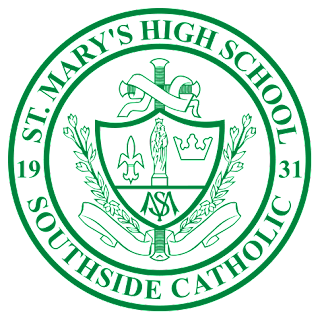 My primary sport exposure at St. Mary’s has been with football team, and has been performed very well. 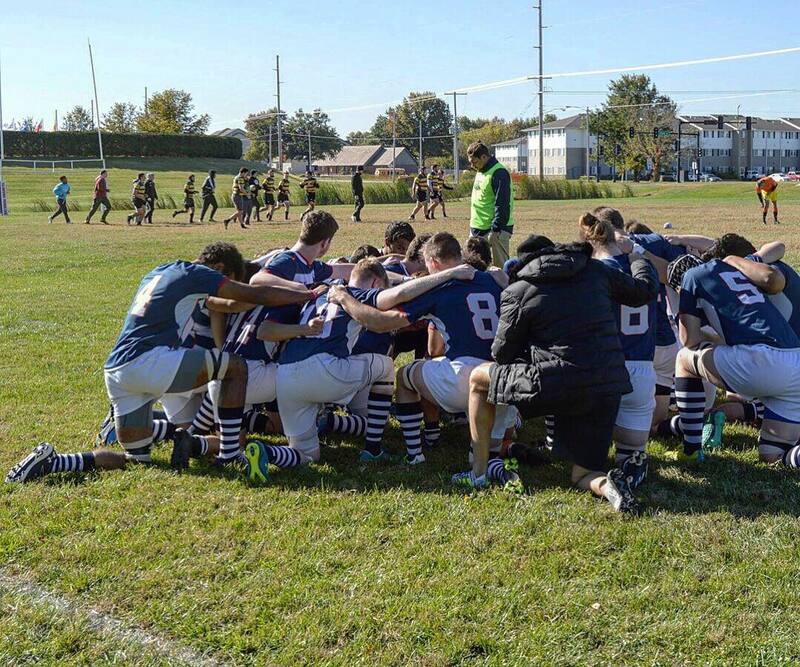 It has been a good learning experience due to the variety of injuries that have occurred on field. Working with my preceptor, I have improved my clinical skills through various clinical site activities. I have gotten some experience managing concussions, evaluating injuries to joints, and assisting in the treatment of environmental conditions such as heat stroke and muscle spasms during this football and soccer season. Cara has been a tremendous preceptor and has provided me with some great opportunities to develop these hands-on experiences during my time at St. Mary’s High School. Furthermore, I expect that the knowledge I have gained in the classroom and my clinical site will be beneficial to my future career as an athletic trainer.